In compliance with the French Loi Informatique et Libertés n°78-17 of 6 January 1978, you have the right of access, challenge and correction of any data which refers to you. This right may be exercised at any time by sending a written request in French to: Salines de Salies-de-Béarn – Avenue des Salines – 6427 SALIES-DE-BEARN, France. Users of the Sel de Salies-de-Béarn website are required to respect the provisions of the « Informatique et Libertés » law, violations of which are punishable with custodial sentences. They should, in particular, abstain from collecting, distorting and misusing any detailed information to which they gain access, that might lead to an act that damages the private life or reputation of people named here. Anonymous data is collected as you navigate, by a system of cookies, for purely statistical purposes. These files are stored on your computer and allow Salines de Salies-de-Béarn to record your navigation around the site (pages consulted, date and time of consultation). There is no way this data can allow us to identify you, their only purpose is to help us to improve your access to the services provided here and improve the site. Locate the “Cookies” menu and select the option that suits you. and select the required level of cooky activity. The Salies-de-Béarn Saltworks makes no guarantee as to the correctness, precision, updating or comprehensiveness of the information made available on this site. As a consequent, the Salies-de-Béarn Saltworks declines all responsibility for any subsequent inaccuracies or omissions relating to information on this site. This site, as well as all its component parts (including text, logos, photographs or videos) constitutes a work under French law, as defined in articles 112-2 (et seq) of the Code de la Propriété Intellectuelle, and covered as such by French and international legislation on Literary and Artistic Property. Copying the contents of this site on any media (including hard disk), is authorised for personal use only. Any other representation or reproduction, in whole or in part of any part of the site or its component parts for commercial purposes, without first obtaining the written permission of Salines de Salies-de-Béarn is illegal and is likely to constitute an act of counterfeiting, which will entail legal consequences and punishment for the counterfeiter. Hypertext links are embedded in this internet site that take users to other websites on the internet. The Salines de Salies-de-Béarn takes no liability for their content or any further links that they may contain, nor their management (notably their management of personal data). 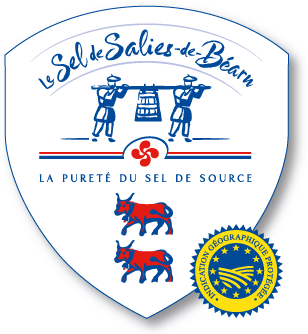 To make links to the site www.sel-salies-de-bearn.com agreement should first be sought from the Salies-de-Béarn Saltworks. Certain files are in Adobe’s PDF format. To read them, the free Adobe Reader software should be installed on your computer. Click here to download it.